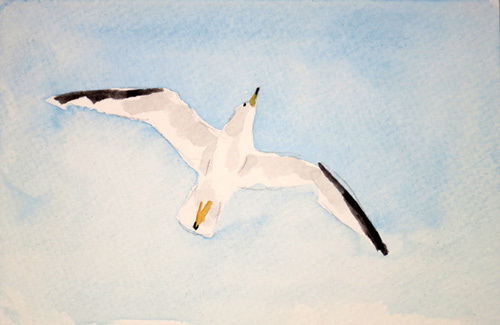 You may bid on this watercolor sketch; your payment will be donated to the American Red Cross for Hurricane Sandy relief. Bid at the Daily Paintworks Hurricane Sandy Fund Raiser HERE (opens in a new window). shipped in solid teak frame with glass ready for hanging or standing. Congratulations to Margo Renner, the winning bid at $62, which was donated to the Hurricane Sandy Fund.